Park Mazda, the largest Mazda dealership in Western Canada, is proud to announce it will now be offering AIR MILES® Reward Miles to its customers. The dealership is offering up to 5000 AIR MILES Reward Miles on select vehicles and 250 Miles on all pre-owned vehicle purchases. In addition, they are offering 50 Miles for anyone who comes in for a test drive and 1 Mile for everyone who spends $50 in the Parts or Service Department. AIR MILES is Canada’s largest loyalty program, so well-known that 98% of Canadians recognize the brand, and approximately two thirds of Canadian households carry an AIR MILES Card. 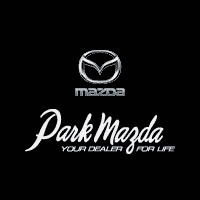 Park Mazda will join the list of over 200 brand name partners across the country which include such prestigious names as Shell, the Bank of Montreal and Air Canada. “Our partnership with AIR MILES is a strong endorsement of Park Mazda’s forward-thinking, customer-centric approach. It will help enhance our position as a leader in the automotive industry,” says Lewicki. To celebrate, the dealership has announced a contest in which they will be giving away 5000 AIR MILES Reward Miles to one lucky winner. The contest starts on February 1st and ends on February 8th, 2018. Anyone who lives within 50 km of the city of Edmonton can enter by visiting www.win5000airmiles.com or https://parkmazda.ca/air-miles-contest/ The draw date will be held on March 12th, 2018. Launched in Canada in 1992, the AIR MILES Reward Program is owned and operated by LoyaltyOne, Co. Unlike other frequent shopper programs, AIR MILES allows users the opportunity to earn AIR MILES Reward Miles from all types of companies with thousands of locations across Canada. Over $500,000,000 in rewards are delivered to Canadians each year. Located in the Sherwood Park area of Edmonton, Park Mazda was chosen for the Mazda Dealer of Distinction Award in 2014 and again in 2015, based on their “commitment to excellence” in sales, service, parts, administration, facilities, and customer satisfaction. The dealership has earned a solid reputation for great deals and friendly, professional service, as hundreds of testimonials on the website from happy customers will attest. For more information about the dealership, visit www.parkmazda.ca.